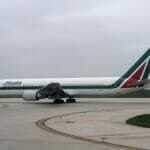 Traveling with a group or a large family? Consider renting an entire Milan apartment. 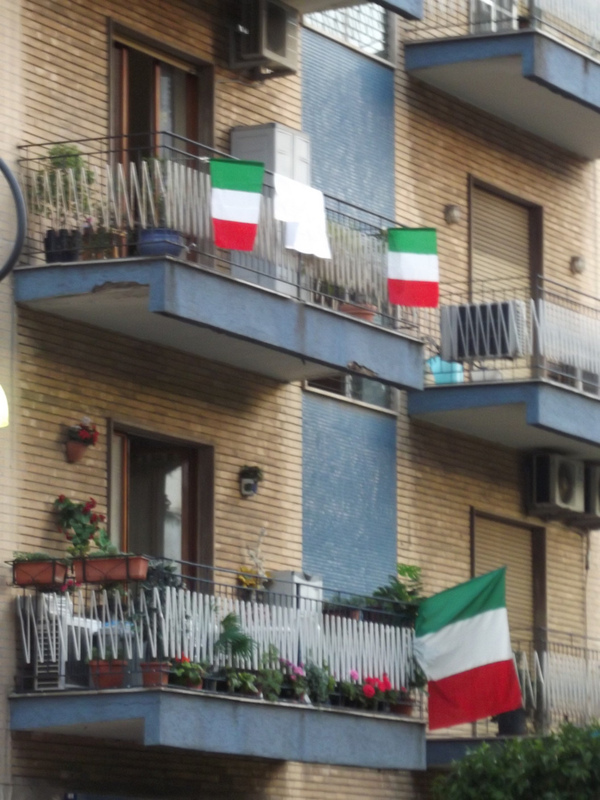 In Milan, apartments are much more cost-effective for a group of travelers than a hotel would be. They are generally very centrally located and equipped with all the modern conveniences such as A/C and internet connection. For those traveling through Milan in order to get to Lake Como, we’ve put together a list of our favorite apartments to help you find accommodation where you can spend a night or two before arriving at the fabled lake. The guests we have spoken with were very pleased with the following apartments and we are happy to recommend them to future travelers. Orientation. The Duomo cathedral is the heart of Milan’s historic center which looks like an inner-circle on a map. (Milan main highways look like concentric circles on the map). 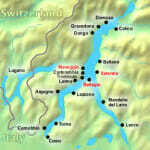 It is located 3 km SW from the central train station Stazione Centrale and can be easily reached by subway. 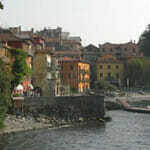 Sometimes we like to rent a car to get to Lake Como, so we like to choose a Milan apartment that is centrally located and close to the major pick-up and drop-off locations. We’ve constructed a short list of our favorite Milan apartments on this page. 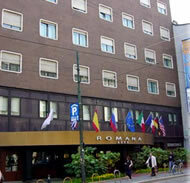 Name: Romana Residence Price: ??? 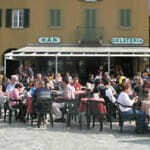 Size: Large – 83 rooms Location: 10-15 minute walk to the Duomo. Near the Crocetti Subway stop. Name: Corvetto Residence – Porto di Mare Price: ? Size: Medium – 64 rooms Location: 5 km from the Duomo (6 metro stops) and close to the Porto di Mare and Corvetto subway stops. Name: Residence de la Gare Price: ?? 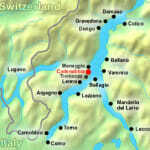 Size: Small – 22 rooms Location: Steps from the central rail station, 3 km walk to the Duomo. 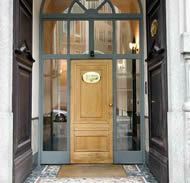 Name: Contessa Jolanda Atahotel Price: ?? 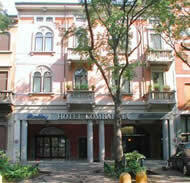 Size: Large – 142 rooms Location: 10 minutes to Milan’s city center. 3-4 minute walk to the closest subway station. Name: Residenza della Città Price: ? or ?? 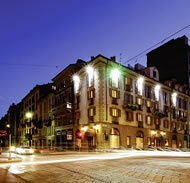 Size: Small – 31 apartments/suites Location: About 1 km from Milan’s central train station. Name: Lombardia Residence Price: ? 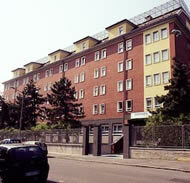 Size: Large – 78 rooms + 9 apartments Location: About 2km east of the central train station. Undergrounds stations are about 500 meters away. Name: Petit Palais Residence Price: ???? Size: Small – 18 suites Location: In the historic center of Milan rather close to a busy road with a 10 minute walk to the Duomo. 5km from the central train station. 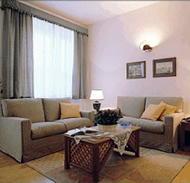 Anyone traveling with a large family or with many friends should really consider renting an entire Milan apartment. 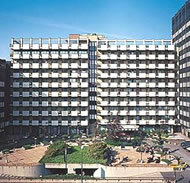 In Milano, flats are far more cost effective to large groups of travellers when compared to any standard hotel. They’re normally quite centrally situated and outfitted with many modern comforts including internet. The quality of apartments in Milan tend to be very good. Of course, one should always to their due diligence before committing to any rental, but all in all you’ll find that centrally-located apartments are well-furnished and offer quite spacious rooms by Italian standards. Location is one factor one should really pay attention to. Always check an apartment’s location on a map before renting. Oftentimes, names of neighbourhoods sound like they’re centrally located, but in fact they are far away and require even two hours of travel by train to get to – owners will still like to get away with saying that the apartment is located in ‘Milan’! On the pricier end, you’ll find apartments like the Romana Residence, which features 83 large rooms or the Petit Palais Residence, which is made of small suites. More affordable options include the Lombardia Residence or the Corvetto Residence. Past the fee, what makes a Milan apartment distinct from hotel rooms is that it provides more for your hard-earned money’s worth. It offers more space for you yourself to spread out and to easily host an entire household or group of friends. Furthermore, to preserve the exceptional standards of Italian lodging, most proprietors continuously scrutinize the properties they own to make sure they are of the outmost comfort to its visitors. Furnished studio flats on the Italian marketplace have been in high demand these days because of the better open-space they give, in addition to their modern furnishings and renovations. Take advantage of finding a Milan apartment for your next Italian vacation and you won’t be disappointed.